New thermal cooling chamber rated to sustain -45°C and up to +140°C. The unit is designed specifically for German customer who needed two VICI Valco valves and columns properly maintained at 4°C with easy access to valves and columns. 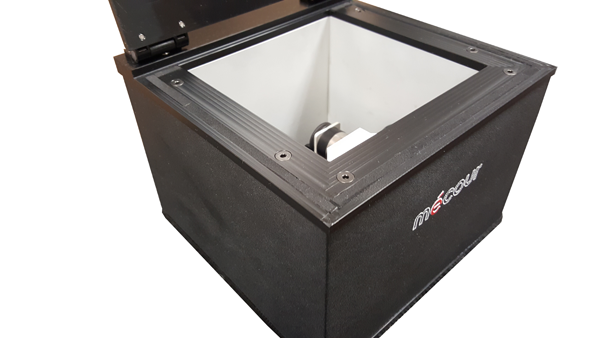 This compact unit sits adjacent to other instruments with a compact exterior size of 9.5” square x 7.25” height. Interior dimensions provide a 6.5” square space. The unit has easy flip-top cover, fluid quick disconnect fittings and is highly insulated to provide low temperature operations. The internal size is made to end-user specifications that will afford them easy access to interior components and maintain constant temperature management to samples. 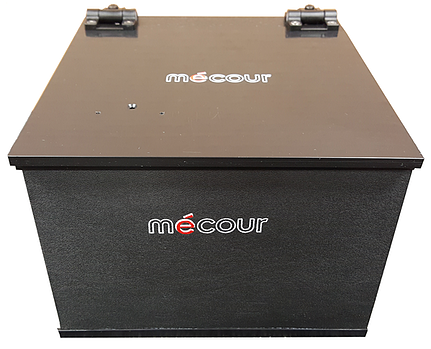 MéCour also provides a full range of thermal systems that fully integrate with the CTC PAL systems that manage virtually any consumable (plates, vials, tubes, etc.) incorporated with the PAL instruments.